The web-based IVES™ system can be viewed in simplistic terms in the image below. 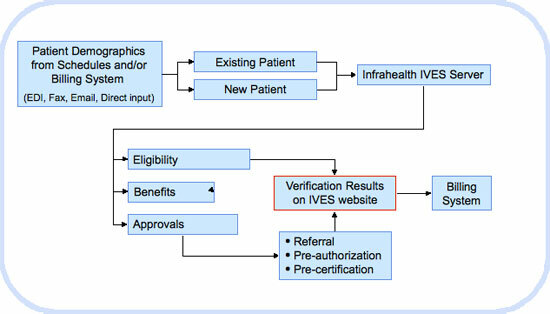 Verification results can be obtained on IVES™ website or send to client practice management systems via interfaces. Infrahealth® has developed interfaces with most practice management systems that exist. Criteria Based Reports customized to your requirements.